She’s GLOSSY, She’s CHIC… She’s HATCHED! Do you all remember my previous posts about Glossy Chick? The website has officially launched! Now you can check it out and shop for the little fashionistas in your life. You’ll see the final product of the shoot that I helped style and you’ll also hear my voice on the catchy Glossy jingle! I was able to put my journalism degree to good use and have an interview with Laura Riano, the brand director for this creative children’s clothing line. Here I’ll be sharing with you all the inside scoop about Glossy and some exciting things to look for in the future with the brand! NATY: WHAT’S THE STORY BEHIND GLOSSY CHICK? LR: Glossy Chick is a Diva and Fashionista In Training going through many phases of her life – like many young girls. No matter what phase or feelings she is going through that day – she never sacrifices her inner diva and always stays true to who she is. NATY: HOW WAS THE LINE CREATED AND WHO CAME UP WITH THE INITIAL CONCEPT? LR: The concept was developed by GSEA Fashion Group throughout a 2 year period with brand director (aka Sassy Chick) leading the way. We were also very blessed to have received advice from some of the very best in the business. Industry friends such as Fashion Merchandising expert Joan Duncan, Syn Founders (Sue, Yalenis, Nicole), former Children’s Designer Andrea Elias and owner of Duo Kids Showroom Robin Wilcher. NATY: WHAT SETS GLOSSY CHICK APART FROM OTHER CHILDREN’S BRANDS OUT THERE AND WHY SHOULD CHILDREN WEAR IT? LR: Glossy Chick is so much more than a character driven childrens brand. Glossy Chick represents a movement and powerful message. She is someone young girls her age can look up to. She always portrays a positive message to stay true to who you are while expressing your inner chick. Her pieces represent fashion forward bodies with pops of colors that little girls can feel like they’re ready to rip the runway in! NATY: WHAT IS YOUR DEFINITION OF A GLOSSY CHICK? NATY: WHAT IS ONE MESSAGE THAT YOU WANT TO GET ACROSS WITH THE GLOSSY CHICK BRAND? LR: Be Confident and always stay true to who you are! NATY: WILL THE LINE BE AVAILABLE FOR PURCHASE IN STORES OR ONLY ON THE WEBSITE? LR: The line is being introduced to market @ ENK this month – and will be exclusively available in stores this upcoming Spring. To hold our young fashionistas over until that time we have developed a limited online-only collection showcasing Glossy in the experimenting phase in her life. The website www.glossychick.com – will have accessories and other items not available in stores. To see a preview of our Spring Collection – you would need to join our Free newsletter online for sneak previews only available to buyers. NATY: I NOTICED ON THE WEBSITE THAT THERE IS A VIP MEMBERSHIP PACKAGE. HOW DOES THIS WORK AND WHAT DOES IT INCLUDE? LR: The VIP membership package is pretty cool! The VIP Chick Card gives access to Membership Community of Chicks where aside from earning points to redeem credit for merchandise, this gives us a platform to communicate with all of Glossy’s fans and provide exclusive games and prizes all revolving around being positive and building confidence in those to be their own chick! -Glossy VIP chick Card – Which allows you to earn points towards glossy gifts, prizes, and merchandise! -10% off every online purchase! NATY: BESIDES THE WEBSITE, HOW ELSE CAN WE CONNECT WITH GLOSSY? NATY: WHAT CAN CUSTOMERS EXPECT FROM GLOSSY IN THE FUTURE? NATY: IS THERE ANYTHING ELSE YOU WANT YOUR CUSTOMERS TO KNOW ABOUT THE BRAND? LR: Our mission statement reads: Glossy Chick is a Diva and Fashionista in training, inspiring young girls to be their own Chick. Glossy is a movement and we believe through the brand we have a way to inspire girls to be confident in who they are. It all starts with 1 chick. If we can help inspire others to be the chick they want to be then our mission statement will have been achieved! 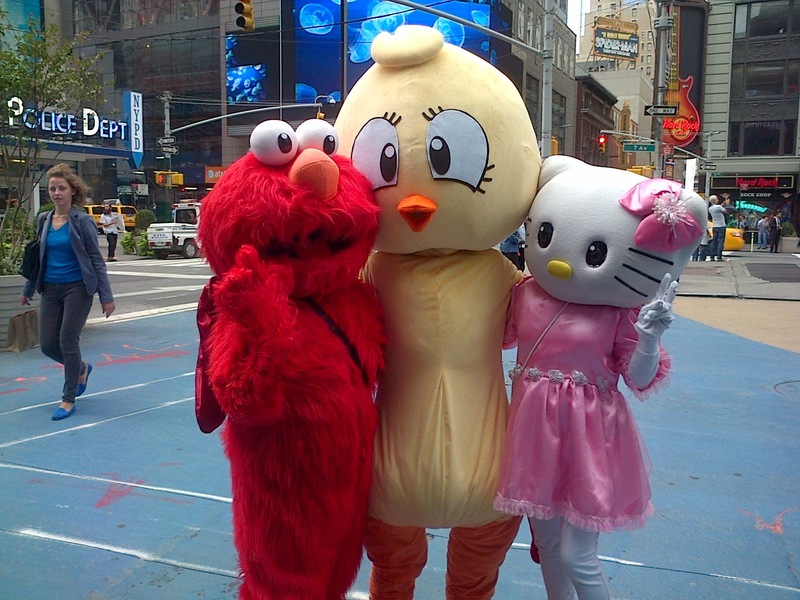 Glossy making friends in Time Square! Check out this clip of Cianna singing and dancing to the Glossy theme song! Not only are the clothes adorable, but the line has a very powerful and positive message for young girls everywhere and I think that is so important. 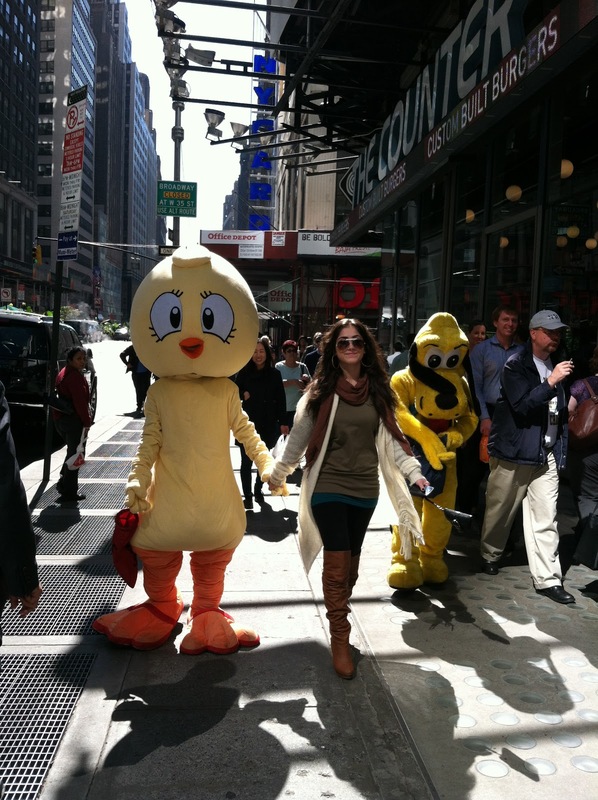 I absolutely love the story behind Glossy Chick and hope that you do too. Make sure to share this with your daughters, nieces, or any little fashionistas in your life! I think they will absolutely adore it. This is just the beginning and as you can see there is still so much more to come, so make sure to stay connected with Glossy! Thank you so much for the interview Laura! thank you for your comment!! !no i'm your faithful follower! !you can follow me back too! !